The success of the award-winning Four Seasons Hotel DIFC in Dubai lies in its surprisingly small scale, says general manager Carlo Stragiotto in this movie Dezeen filmed for the AHEAD MEA awards in Dubai. 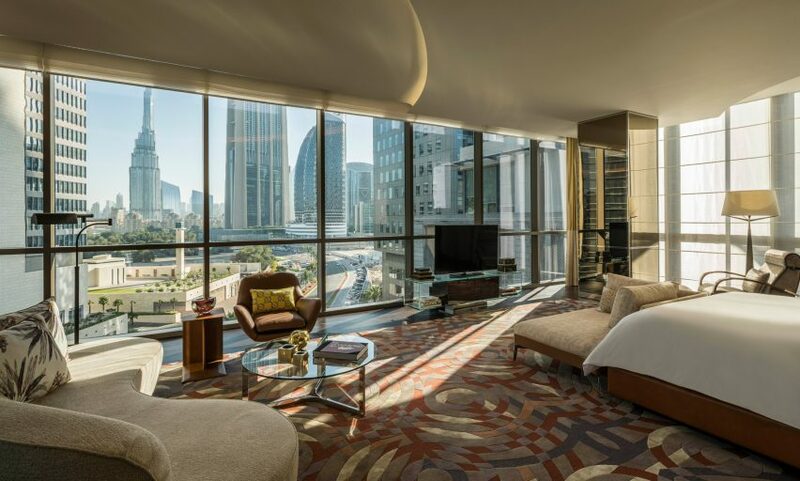 Located in a converted former apartment block at the Dubai International Financial Centre, the Four Seasons Hotel DIFC is a five-star hotel designed by New York-based hospitality designer Adam Tihany. It was named hotel of the year at the recent AHEAD MEA hospitality awards, and also topped the urban hotels category. According to Stragiotto, the hotel is unusual in the region because of the relatively small size of its interior spaces. 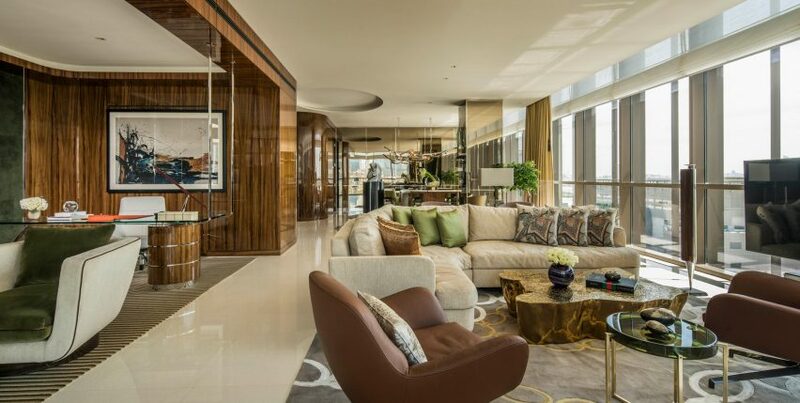 “Luxury in Dubai used to be about big spaces, large lobbies and dimensions that give that perception of grandeur and luxury,” he says in the movie, which Dezeen filmed at the Four Seasons Hotel DIFC. Stragiotto says that Tihany’s aim was to create “a home away from home” for guests. The Four Seasons Hotel DIFC is the second venue that the hotel company has opened in Dubai, following an enormous resort at Jumeirah Beach. Despite its relatively small size, it features six floors of hotel rooms and suites, as well as a host of restaurants, bars and spa facilities for guests to enjoy. These include a sky bar and a cigar lounge at the top of the building called the Churchill Club. This movie was filmed at the Four Seasons Hotel DIFC for hospitality awards programme AHEAD. All images are courtesy of Four Seasons DIFC.